Council Baradel is excited to announce the launch of its Employment Law Blog, which will closely follow the rapidly changing developments in laws and technologies affecting the workplace. Council Baradel's Employment Law team, Susan Stobbart Shapiro and Steven A. Brown, will provide legal updates and practical insight on the latest employment law issues affecting Maryland's employers and employees. 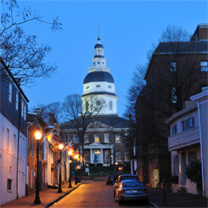 "Businesses and individuals in Maryland continue to face a wide range of complex employment law matters," said Director Susan Shapiro, who leads the firm's employment law practice. "This blog is part of our ongoing effort to provide clients with up-to-date, relevant information that affects them both personally and professionally." The blog will provide insights, news, updates, and commentary on a range of labor and employment topics, including harassment, discrimination and retaliation; wage and hour matters; non-compete agreements; employment agreements; hiring and firing; and employment contracts. Visit the Council Baradel Employment Law Blog at www.cbemploymentlaw.com.